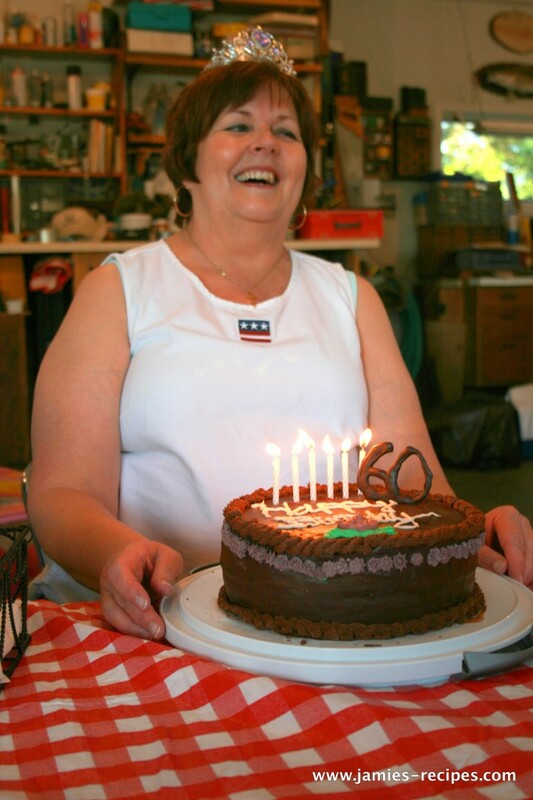 My mother-in-law just celebrated a monumental birthday on July 5, she turned 60. For her birthday I wanted to make her her favorite cake, it was no surprise that she requested a chocolate cake with a chocolate fudge frosting. 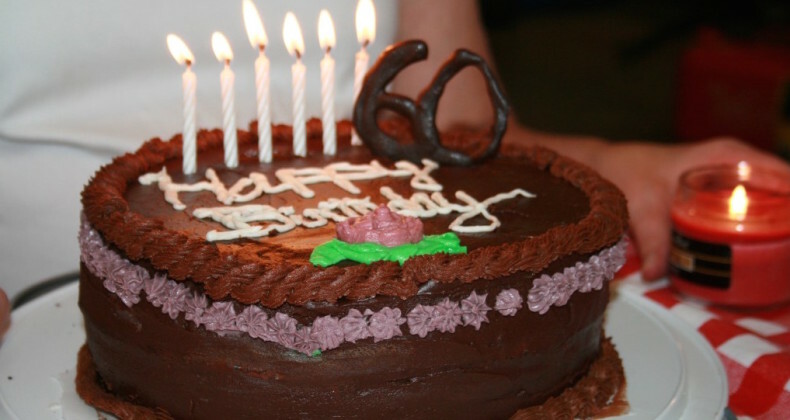 My mother-in-law just celebrated a monumental birthday on July 5, she turned 60. 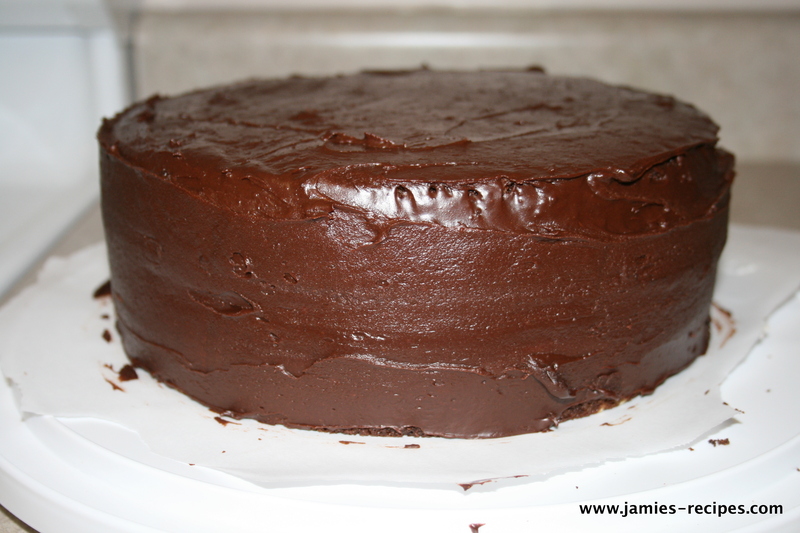 For her birthday I wanted to make her her favorite cake, it was no surprise that she requested a chocolate cake with a chocolate fudge frosting. I wanted this cake to be out of this world good. I stumbled across Hershey’s “Perfectly Chocolate” chocolate cake, and I knew this would be the “one”. After all, Hershey has been doing the chocolate thing for at least a hundred years. The cake was so easy to make, bake, and assemble. Between the chocolaty layers of cake I used a delicious vanilla butter cream, once assembled I covered the cake with Hershey’s “Perfectly Chocolate” chocolate frosting. The added decorations are made from vanilla butter cream and a chocolate butter cream. This cake was out of this world good. I can’t wait until I have an excuse to make this cake again. Preheat oven to 350 degrees F. Grease and flour two 9 inch round baking pans. Stir together dry ingredients in your mixing bowl. Add eggs, milk, oil, and vanilla, beat together on medium speed for 2 minutes. Stir in boiling water or coffee until combined. Your batter will be very thin. Divide batter among pans. Bake 30-35 minutes until set or toothpick inserted in the middle comes out clean. Cool in pans for 10 minutes before transferring to wire racks to cool completely. In your mixer, mix together butter and sugar. While still mixing over medium speed add in vanilla extract. If frosting still seems extremely stiff add in a few splashes of milk until you reach desired constancy. ENJOY! In your mixer, mix together butter, sugar, and cocoa. While still mixing over medium speed add in vanilla extract. If frosting still seems extremely stiff add in a few splashes of milk until you reach desired constancy. Once cakes are cooled place 1 cake, flat side down, on cake plate. Trim the top of the cake so the cake is level, do this to the second cake too. Cover the top of cake 1 with vanilla butter cream frosting. Place cake 2 cut side down on top of butter cream. 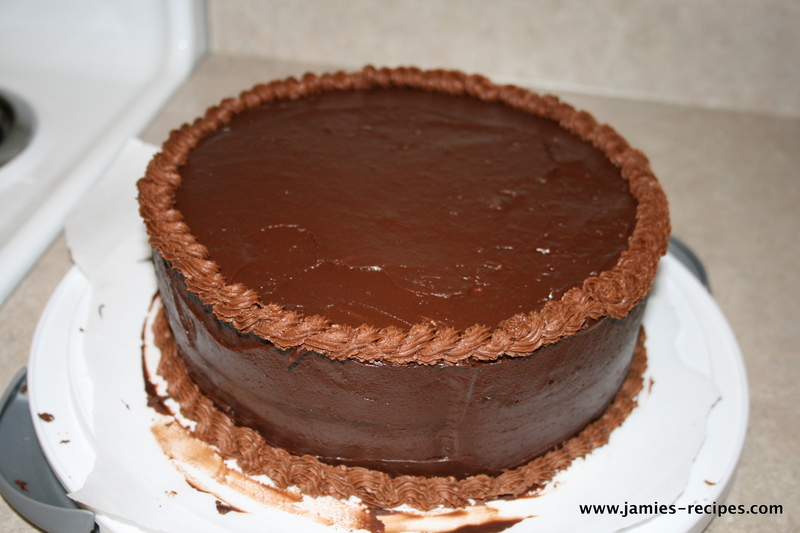 Cover cakes with "Perfectly Chocolate" chocolate frosting, using an offset spatula. 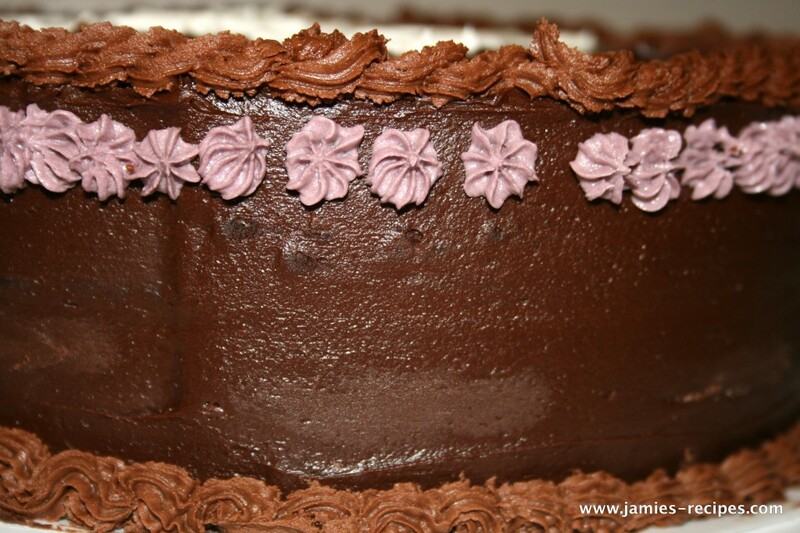 Enjoy as is, or decorate with chocolate butter cream frosting using pastry bag and decorative tips. ENJOY the best chocolate cake ever! You may want to check out the recipes here too. Their Bittersweet bars are my favorite. Hi, I tried this chocolate cake recipe some days ago but somehow couldn’t achieve the same result as you, my cake clearly wasn’t looking that good (atleast it tasted good). What kind of chocolate are you using? Maybe it’s coming from the flour I used, i’m gluten intelorant so I used amaranth flour instead of normal wheat flour. Almond Cookies are a sweet way to celebrate the Chinese New Year.